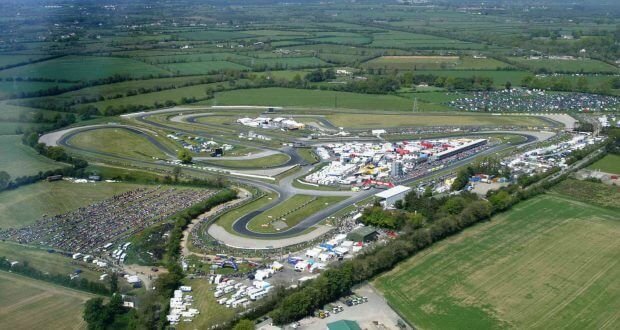 Mondello Park, a Northern Irish circuit, was filled with hundreds of British Rallycross fans on the weekend of 22nd to 23rd of July. Independent driver, Julian Godfrey, in Ford Fiesta, won his second 1st place podium of 2017 British RX Championship, after finishing 1st in the final laps of both Round 4 and 5 . He now stands first on the overall drivers standing board with 30 points, Ollie O’Donovan gave a great performance and is standing second with 27 points, Oliver Bennett stands in third with 25 points. Mondello Park marked a halfway point of the championship, with the top five drivers being so close to each other on the standings board, final outcome can not be predicted just yet, the standings are likely to change and culminate at the 2017 British RX Grand Prix, taking place at Croft circuit, on the 22nd of October. Racing at Mondello Park, non-registered British RX series entrant, Irish champion Derek Tohill proved his talent on his home circuit track, where he finished in third place at the final laps of Rounds 4 and 5. Tohill, a two-time FIA European Rallycross Touring Car Champion and reigning Irish Rallycross Champion is currently racing in the Euro RX Supercar Championship, however, having close connection with the British RX, he couldn’t resist but try his Irish luck at Mondello Park. Scott not only received damage to his pelvis, but also to his Citroen DS3, which set on fire during Round 3 at Pembrey. Team BMR’s principal, however, remains positive and still feels happy with his decision to move racing divisions this season (BTCC to British RX).